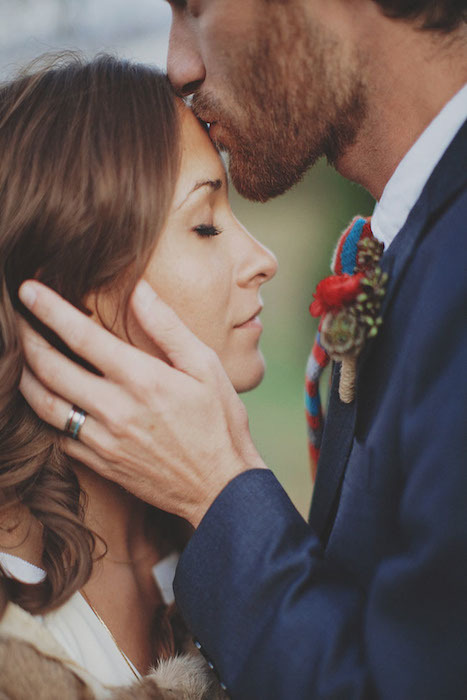 If you love the American Southwest as much as we do, why not take inspiration from it for your wedding day? 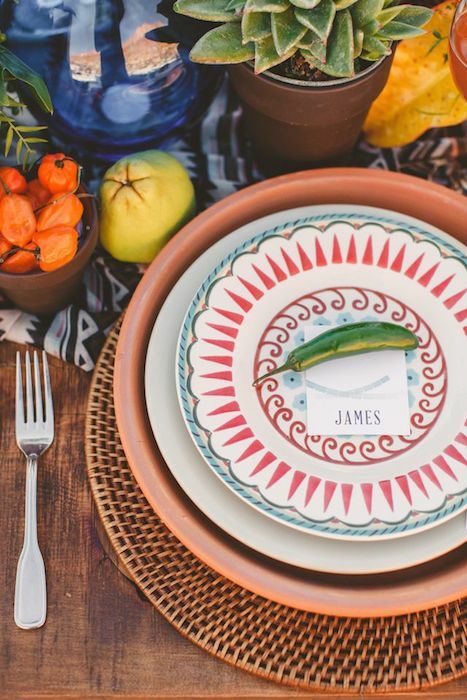 You don’t need to have a desert at your disposal to jump on this trend; outdoor venues and raw spaces also look amazing decked out in Southwestern decor. 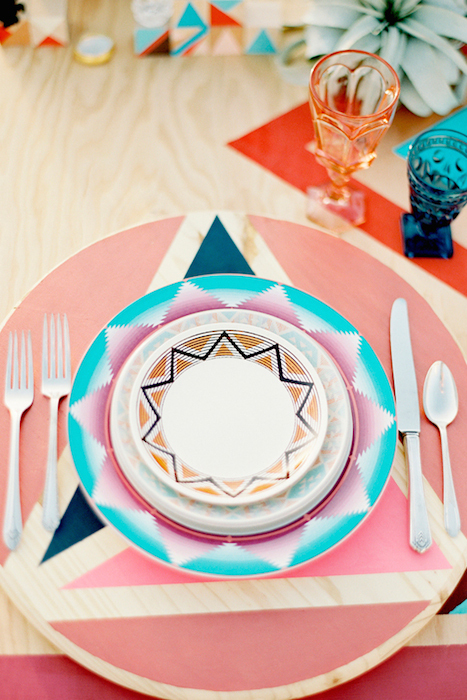 Think feathers, cacti and bright hues combined with a sand-colored backdrop, Navajo textiles and chevron details. 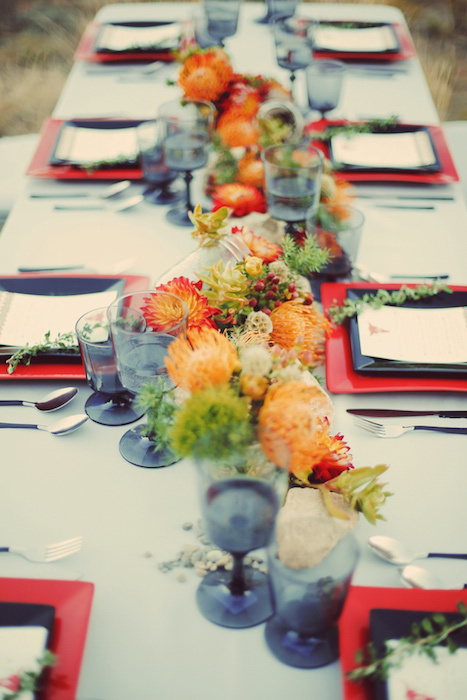 Embrace the vibrant colors by using edible decorations such as chilli peppers and exotic fruits. They’ll definitely bring your table settings to life. This is a great opportunity to experiment in the tie department; forgo the plain colors or spots and go for a rich blanket inspired pattern. 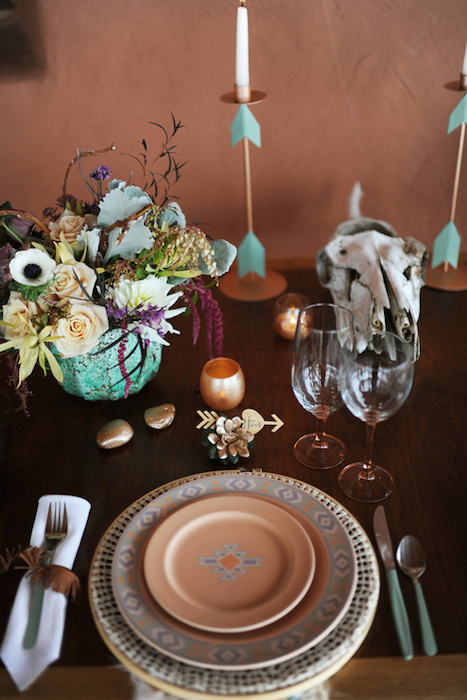 You can enhance the look of wooden tables by using copper and gold accessories with turquoise arrow details. The white background of these invitations give the print a crisp finish. 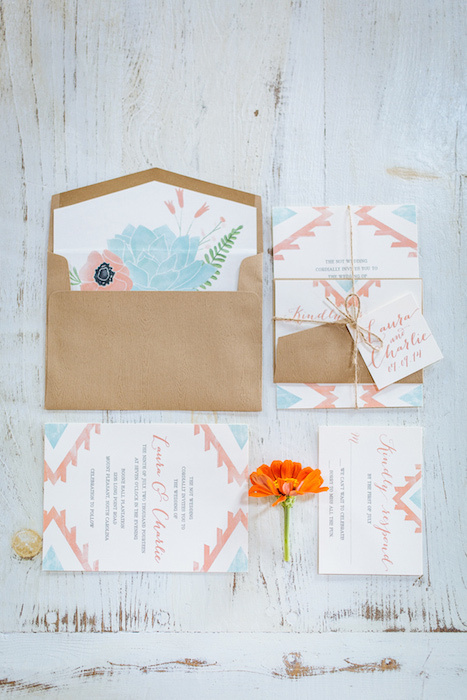 Soft aqua and coral tones are an ideal color palette for a southwestern look. 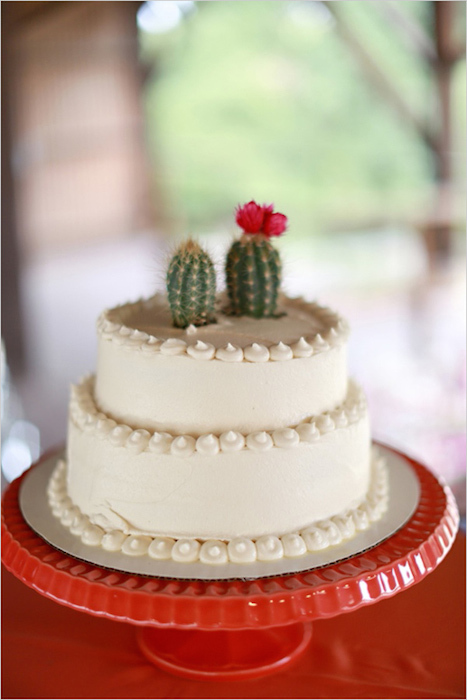 There’s nothing more fitting for a desert wedding than a cactus cake! For those who prefer a darker look, red and black will also work well with this theme. 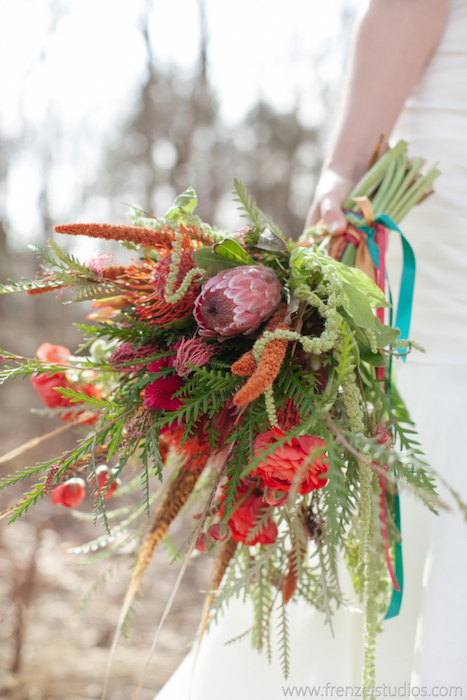 A wild bouquet tied with multicoloured ribbon is very much in keeping with this aesthetic. 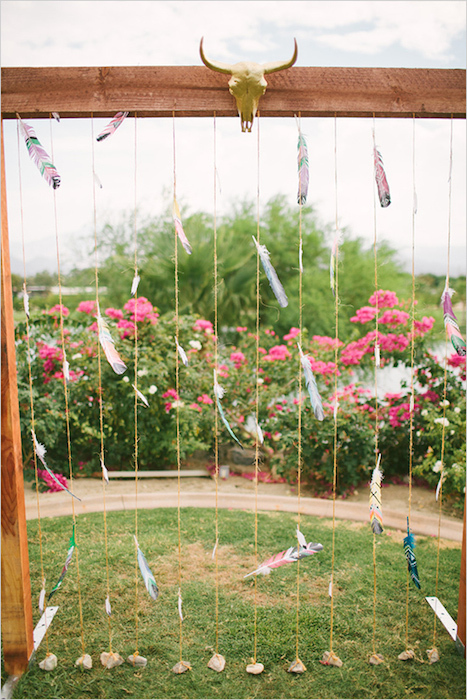 A backdrop of printed feathers in your ceremony space will bring the southwest straight to your venue. We love the endless options for color pairings and combining prints, with this trend. These beauties are perfect for a night of dancing (and showing off). 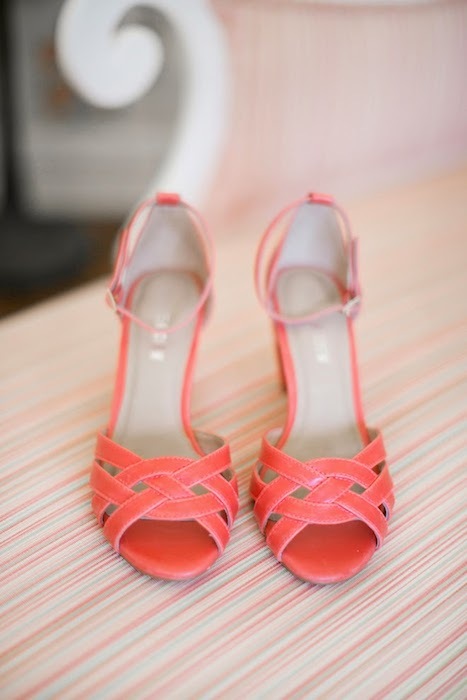 Coral shoes will also become a great addition to your summer closet too. 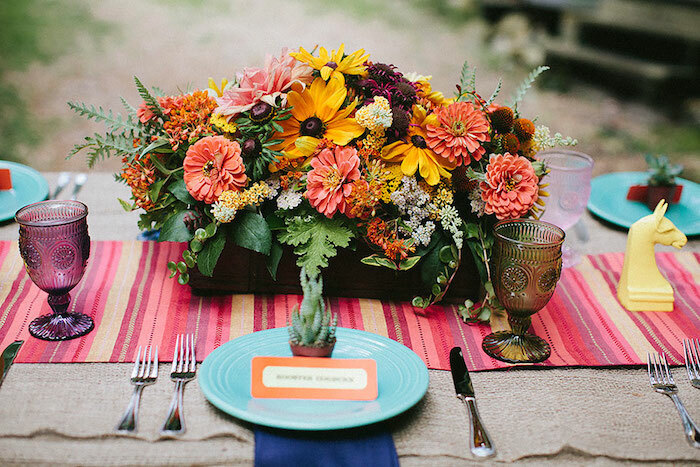 Turquoise plates, mismatched glassware, a blanket-inspired runner and a large floral arrangement are lovely ideas for working this trend into an intimate backyard reception.